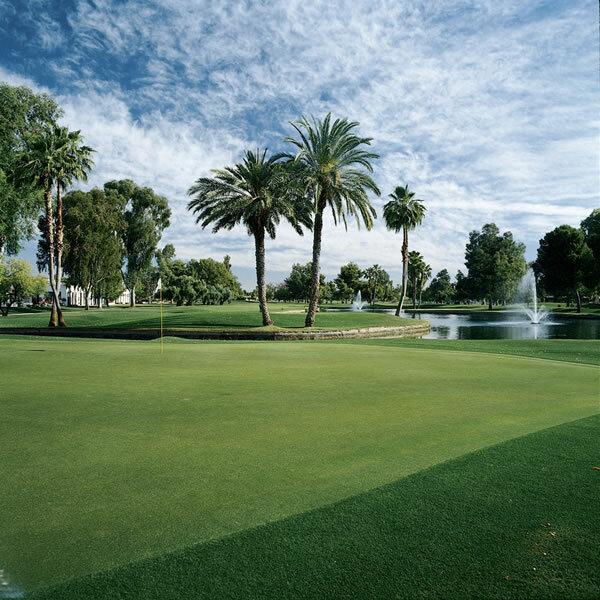 Orangetree Golf Club is conveniently located right in center of Scottsdale, Arizona, a close drive from any Scottsdale golf resort. 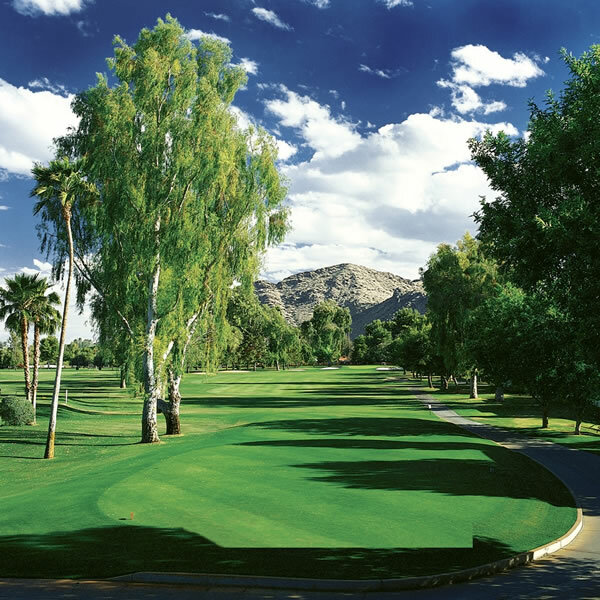 This traditional links style Johnny Bula design offers a Midwest golf experience in the valley of the sun. Orangetree is a player friendly layout offering long, wide fairways lined with may large mature Eucalyptus, Pine, and Palm trees. The course may appear easy at first glance; however four lakes come into play on five holes. The fairways lay flat; however, sand bunkers are placed on every green adding challenge towards the green. Orangetree is the type of course that may be enjoyed by any player no matter what your skill level. From Phoenix Sky Harbor Airport: Follow the airport signs to the I-10 W. Merge ont I-10 W. and continue 1 mile. Merge onto AZ-51 N. via exit #147. Continue 10 miles and exit Shea Blvd. via exit # 9. Turn right onto Shea Blvd. and continue 2.8 miles. Turn left onto 56th St. The course will be located on the right hand side.